Hi guys, today we will discuss about the Boot Animations of the Android phone and also provide quick and easy guide how to install Boot Animation of Android 6 Marshmallow on your Android Smartphone. Most of the person don’t know about the Boot Animations. 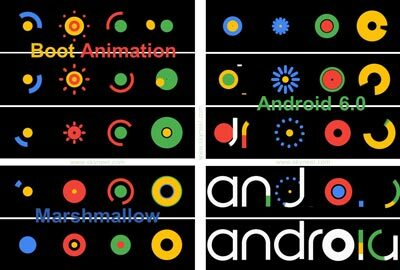 Boot Animations is an important part of your Android device which is used for Android boot process. What is the Boot Animation? The Android Boot Animation is stored in a zip format with the name of bootanimation.zip in your device. This file is placed in the internal memory of your android device and the path is /system/media. The Boot Animation file store all necessary things which is used to play the boot animation. It is automatically load and play when you boot your device. Boot Animations are the animated clip which you see when you turn on your Android. By default company name is shown as a Boot Animation during turn on your Android phone. If you have a Micromax android, you will see the Micromax animation clip during turn on your Micromax android phone. If you will be bored with you old Boot Animation, and want something new during turn-on your Android. Then you will be able to change Boot Animation of Android 6 Marshmallow and surprise your family members, friends and others. Step 1. First of all Download bootanimation.zip file click here and save it on your phone storage. Now open root explorer app, then you will get a popup tab from Su app for getting root permission, So tap on “Grant” to give root access permission. Now go to your phone storage where you saved your custom boot animation and copy this bootanimation.zip file. Step 2. After copy boot animation file, then goes to root folder then system folder. Now find and tap on media folder and paste bootanimation.zip file here (Paste option show at the bottom). Now you will get a warning message then tap on the “yes”. Your boot animation overwrite on stock boot animation. See in this image. Step 3. Now your boot animation changed, but It’s not work without set permission. So you must set read or write permission on boot animation file. Press and hold few second on boot animation file and you will get lots of options in the option tab, now tap on permission option and you will get a popup tab for set permission. Now tick on owner, group and other for read permission but write permission tick only for owner, then tap on OK. Step 4. That’s all enjoy Boot Animation of Android 6 Marshmallow. Now reboot your phone and you will see your boot animation working or not. I hope you like this Boot Animation of Android 6 Marshmallow guide from which you will be able to easily install Boot Animation of Android 6 Marshmallow on your Android device without any extra efforts. If feel any problem in this guide then please use comment box. Thanks to all.